GOAL 1. Establish the distributed organizational infrastructure for developing, maintaining, and researching the social and technological mechanisms for meaningful engagement of MSIs in CI-enabled research and education. Objective 1.3 Maintain strong communication/coordination linkages between leadership team/project working groups and participants through annual meetings and regular conference calls. GOAL 2. Provide awareness, training and curriculum resources needed to engage faculty and students at MSIs in CI-related STEM education. Objective 2.4 Develop a library of CI resources accessible through the web portal. Objective 2.6 Build CI leadership capacity of MSI institution administration and staff through access to executive awareness opportunities and networking with national CI leaders, and technical assistance as needed. GOAL 3. Meaningfully engage faculty and students at MSIs in CI-mediated collaborative or independent research and development activities. Objective 3.5 Identify and disseminate opportunities for MSI faculty, staff and students to become involved in computer/ information technology-focused research and education projects. GOAL 4. Assist MSIs in assessing and improving information and communication technologies, and curricular and research capabilities at their institutions consistent with the emergent CI. The three organizations that comprise the Alliance for Equity in Higher Education -- the American Indian Higher Education Consortium (AIHEC), the Hispanic Association of Colleges and Universities (HACU), and the National Association for Equal Opportunity in Higher Education (NAFEO) -- provide a broadly systemic approach to reaching underrepresented minority students and engaging this nation’s American Indian Tribal Colleges and Universities (TCUs), Hispanic-serving Institutions (HSIs), and Historically and Predominantly Black Institutions in the exploration, dissemination and adoption of CI tools, services and initiatives supporting research and education. The three organizations (AIHEC, HACU, and NAFEO) leading this project represent the broadest coalition of MSIs (of at least 335) in American higher education. The United States needs minority participation in science, technology, engineering and mathematics (STEM) to have the workforce it needs to be competitive in the emerging global, knowledge-based economy (National Science Board, 2003; National Academies, 2007). Geoffrey Charles Fox received a Ph.D. in Theoretical Physics from Cambridge University and is now professor of Computer Science, Informatics, and Physics at Indiana University. He is director of the Community Grids Laboratory of the Pervasive Technology Laboratories at Indiana University. He previously held positions at Caltech, Syracuse University and Florida State University. He has published over 550 papers in physics and computer science and been a major author on four books. Fox has worked in a variety of applied computer science fields with his work on computational physics evolving into contributions to parallel computing and now to Grid and multicore chip systems. His interest in education includes Internet delivery of courses and development of new curricula for interdisciplinary studies. He has worked on the computing issues in several application areas – currently focusing on Defense, Earthquake and Ice-sheet Science and Chemical Informatics. Parallel computing on multicore chips is a major research focus. He is currently Vice President of the Open Grid Forum responsible for eScience. He is involved in several projects to enhance the capabilities of Minority Serving Institutions (MSIs) including three funded by National Science Foundation (NSF) CI-TEAM playing a lead role in the MSI Cyberinfrastructure Empowerment Coalition (MSI-CIEC). His role in these is linking MSI’s to the international Grid and computational science communities. Robert M. Panoff is founder and Executive Director of The Shodor Education Foundation, Inc., and has been a consultant at several national laboratories. He is also a frequent presenter at NSF- sponsored workshops on visualization, supercomputing, and networking, and continues to serve as consultant for the education program at the National Center for Supercomputing Applications at the University of Illinois at Urbana-Champaign. He has served on the advisory panel for Applications of Advanced Technology program at NSF. Dr. Panoff received his B.S. in physics from the University of Notre Dame and his M.A. and Ph.D. in theoretical physics from Washington University in St. Louis, undertaking both pre- and postdoctoral work at the Courant Institute of Mathematical Sciences at New York University. 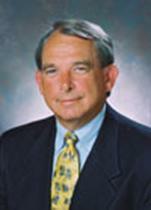 In 2005 Wofford College awarded Dr. Panoff the honorary degree of Doctor of Science in recognition of his leadership in computational science education. Linda B. Hayden is the Director of the Elizabeth City State University (ECSU) Center of Excellence in Remote Sensing Education and Research (CERSER). She is a Professor in the Department of Mathematics and Computer Science, author of numerous articles and grants, and is a recipient of the NSF Presidential Award for Excellence in Science, Mathematics and Engineering Mentoring (PAESMEM). Currently, in addition to regular teaching duties she also serves as Co-Director for an NSF CI-Team Project and Co-Principal Investigator for the PolarGrid Project. Her research interests include Remote Sensing and Grid Networks. Joyce Rudinsky is a visual artist working with electronic and interactive media to investigate a variety of issues impacted by technology. Her current interest is the shifts in cognitive experience and sensory perception induced by the use of computer technology. Rudinsky’s work is both conceptual and technical. She creates electronic media installations. Projects use video projection, live performance, sound, and interactivity to create an immersive environment where a viewer is able to explore and investigate through a variety of perceptions – aural, visual, and spatial. Her work explores the convergence of art, entertainment, and information and new information structures. Rudinsky is an Associate Professor in the Department of Communication Studies at the University of North Carolina, Chapel Hill. Russ Hobby is the Chief Technical Architect of the End-To-End Performance Initiative for Internet2. Russ has long been active in the research and application of networking participating in the development of the Internet from its early days. He was one of the primary network architects that developed the Bay Area Regional Research Network (BARRNet), the NSF funded regional network serving Northern California in the late '80s and early '90s. In the Internet Engineering Task Force (IETF) Russ formed and chaired the Working Group responsible for the Point-to-Point Protocol (PPP). He served on the first IETF Internet Engineering Steering Group (IESG) as the Applications Area Director. Under his direction on the IESG, Internet standards were developed for multimedia email (MIME), real-time protocols to support applications such as desktop conferencing and some of the framework for what has become the World Wide Web. Russ worked with the group that lead to the creation of the Internet2 Project. He participated in the formal creation of Internet2 and co-authored the Internet2 Architecture and Engineering documents. He has continued to work closely with the Internet2 Project and is currently on assignment to Internet2 from his home campus University of California, Davis, to help with Working Group procedures and to assist the Engineering Area. He has helped lead California's part of Internet2 through his role in the Corporation for Education Network Initiatives in California (CENIC) and its CalREN-2 network. Laura McGinnis is a project manager with the Systems and Operations group at Pittsburgh Supercomputing Center. Laura oversees the recruiting, orientation and mentoring of technical students for PSC, placing qualified students in systems, application, and computational science development teams. She is involved in education, outreach, and training activities in TeraGrid, and in the Pittsburgh region. Current projects include managing the Pathways to Broadening Participation in TeraGrid initiative, and coordinating activities that will support HPC University, an education and training program that will develop petascale-level computational scientists. Laura has a Bachelor of Science degree in Computer Science from the University of Pittsburgh and a Master of Science in Industrial Administration from the Tepper School of Business at Carnegie Mellon University. John McGee is RENCI’s manager for cyberinfrastructure development, leading a team of researchers and software developers to design and implement solutions that advance scientific research and discovery. Prior to joining RENCI, McGee was co-executive director of the GRIDS Center at USC’s Information Sciences Institute as part of the NSF Middleware Initiative, under the leadership of Carl Kesselman and Ian Foster. He has also served in technical and managerial roles in academia and the private sector, with experience as a developer and technology specialist for Microsoft Corporation, and with various high tech startups as director of information technology, and vice president of business development. McGee holds a bachelor of science degree in mathematics from the University of Maryland, College Park. 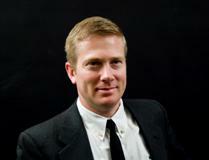 John Killebrew is the Director of the North Carolina Research & Education Network (NCREN) for MCNC. He brings more than 35 years of experience in community networking leadership to his position. John’s experience includes business development, collaboration, planning, operating, marketing, and managing statewide networking initiatives. At MCNC, his responsibilities include client and provider relationships, network operations, strategic network planning, and business management. Through ongoing customer interaction and several NCREN advisory committees, John leverages his own experiences with the collective institutional knowledge of North Carolina’s statewide community toward successful collaborative efforts that enable NCREN to deliver benefits for the connected institutions, organizations, and regional partnerships. Prior to joining MCNC, Killebrew managed strategic sales resources in North Carolina and South Carolina in the promotion of BellSouth’s emerging and e-business solutions. In that capacity, he led teams that have designed, sold, and implemented statewide data, video, and voice networking solutions across a diverse community. These networking solutions served organizations such as North Carolina State Government, the University of North Carolina at Chapel Hill, First Citizens Bank, Branch Bank and Trust Company, and the State Employees Credit Union. John is a graduate of North Carolina Wesleyan College with a double major in Computer Information Systems and Business Administration. Robyn Render has served as Vice President for Information Resources and Chief Information Officer for the University of North Carolina (UNC) since 2001. In her time at UNC, she has earned high marks from every major University constituency for her vast technical knowledge, her ability to work effectively with diverse groups and viewpoints, and her deep understanding of the growing potential of IT in teaching and learning. In her role, Render serves as the president's primary adviser on information technology. She oversees strategic planning and policy development for technologies that support the University's instructional, research and public service activities, and she works with IT officials on the 17 campuses to facilitate collaborative approaches to system-level technology issues. Render also works closely with the Board of Governors, the president and other senior staff members to develop University policies and programs, and serves as UNC's primary spokesperson on matters related to information technology. Render holds a master's of arts degree in organizational management from the University of Phoenix and bachelor's and associate of science degrees in information systems from the University of Cincinnati. She joined AT&T in 1976 as a programmer analyst and over the next decade rose progressively to manager of systems development for AT&T Communications. In 1986, Render returned to her alma mater as director of university administrative information services. After seven years in the post, she was promoted to assistant vice president and director of the Center for Information Technology Services. In 1999 Render was recruited to North Carolina Central University to become its first chief information officer, responsible for the coordination of all IT services, computing systems and telecommunications. 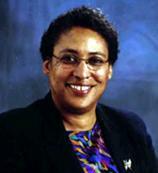 In January 2000 she joined the UNC General Administration as associate vice president for information resources, with primary responsibility for administering strategic IT initiatives relating to student services and administrative systems, as well as networks and networking services for UNC and its constituent institutions. Render is active in various regional and national professional organizations relating to higher education and information technologies. She served as Chair of the Educause Board of Directors. She currently is a member of the Cary Academy Board of Directors and several local and national advisory boards. She has written and spoken widely on technology and quality management in higher education and has consulted for other universities on the integration of technology in teaching and learning. Dali Wang joined the SURA IT staff as Grid Infrastructure Specialist in July 2007. 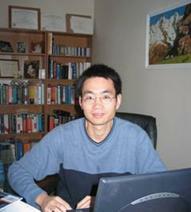 Prior to joining SURA, Dr. Wang was a Research Assistant Professor of Computer Science and Research Associate of The Institute for Environmental Modeling at The University of Tennessee, Knoxville. From 1996-1998, he was a faculty member at the Nankai University, China. Dali has published over 25 refereed journal and conference publications. 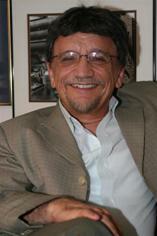 Dali is a member of the IEEE Computer Society Technical Committee. He holds a MS degree in Computer Science, a MS certificate in Computational Science and Engineering, and a Ph.D. in Environmental Engineering (scientific computation) from Rensselaer Polytechnic Institute. He also holds a BS degree in Environmental Planning and Management and a MS degree in Environmental Chemistry from Jilin University, China. Richard Aló is the Executive Director of the Center for Computational Sciences and Advanced Distributed Simulation and Executive Director for Grants and Contracts in the College of Sciences and Technology at the University of Houston-Downtown. He has held these positions since 1995. He earned his MA and Ph.D. in Mathematics with minor in Computer Science from the Pennsylvania State University in 1965. He has held his current position of professor of Computer and Mathematical Sciences at the University of Houston since 1982. 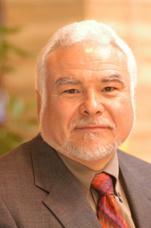 From 1982 to 1995, he was Chair of the Department of Computer and Mathematical Sciences at UHD. He has served on several advisory and executive boards, including the Mathematical Association of America’s SUMMA Committee (Support for Undergraduate Minority Mathematics Awareness), Association of Departments of Computer and Information Science and Engineering at Minority Institutions (founding member), Coalition for Diversity in Computing (Chair and also founding member), National Science Board NSF GRPA Committee and Multi Sector Crises Management Center, Board of Directors, Washington. He chaired two national conferences for ADMI and co chaired the Richard Tapia Celebration of Diversity in Computing Symposium, Houston, 2001 and the Education Committee for Supercomputing 2002. Dr. Aló was selected as the 2002 Educator of the Year by the Hispanic Engineer National Achievement Awards Conference (HENAAC). He has published over 150 research papers. Recent areas of investigation include Automatic Decision Making (Artificial Intelligence), Object Recognition (Facial Expression and Gesture Analysis), and Fuzzy Logic. His primary research and educational interests are computational science applications, grid computing and cyber infrastructure tools, automated reasoning and decision making. He is currently PI on the NSF CI-TEAM Implementation award Minority Serving Institutions – CyberInfrastructure Empowerment Coalition (MSI-CIEC) and co PI on the NSF Broadening Participation award, Computing Alliance for Hispanic Serving Institutions. Alex Ramírez is the Executive Director for Information Technology (IT) Initiatives at the Hispanic Association of Colleges and Universities (HACU), the only national association of Hispanic-Serving Institutions (HSIs). Dr. Ramírez has been in the IT field for over 20 years, 15 at the University of California, Riverside, becoming the Director of Academic Computing, before joining the University of Texas at San Antonio and then HACU. While at HACU he served as the HSI Community Leader for the NSF Advanced Networking with Minority Serving Institutions (AN-MSI) project in strategic partnership with EDUCAUSE and the American Indian Higher Education Consortium (AIHEC) and the National Association for Equal Opportunity in Higher Education (NAFEO), who respectively represent the nation’s Tribal Colleges and Universities (TCUs) and Historically Black Colleges and Universities (HBCUs) and predominantly Black institutions. Together HACU, AIHEC and NAFEO represent over 330 institutions, the vast majority of the nation’s Minority-Serving Institutions (MSIs). This strategic partnership has grown in the CI-TEAM demonstration project, MSI Cyberinfrastructure (CI) Institute (MSI-CI2), and its implementation project, MSI CI Empowerment Coalition (MSI-CIEC) which seeks to meaningfully engage MSIs in CI through collaborations for the betterment of MSIs, the students they serve, and the international cyberinfrastructure community. Alex is a co-PI on both and senior personnel on a related Broadening Participation in Computing (BPC) grant, the Computing Alliance of HSIs, CAHSI. He has spoken at national conferences on IT in the HSI community, and has prepared testimony on behalf of HACU on IT issues for congressional committees and commissions as well as for the NSF Blue Ribbon Panel on Cyberinfrastructure.